My sincere appreciation to all those afflicted with ARD, who dared to push through their pain and suffering to get ARD recognized and named! Together, we made this happen! 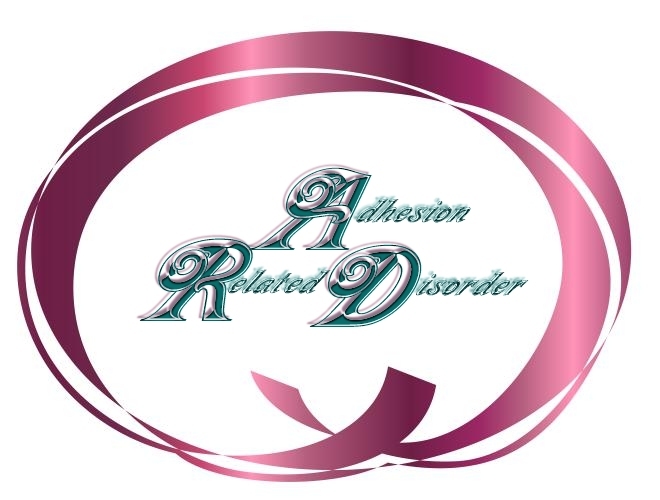 Adhesion related disorder – This little known condition commonly leads to abnormal attachments between the organs inside the abdomen. The adhesions generally are composed of scar tissue resulting from previous operations. Very little is known about why adhesions form more aggressively in some people. Diagnosis of the disease is typically difficult, and surgical correction is often unsuccessful. The Committee encourages NIDDK to investigate this disease, supporting research to find treatments and understand causation and to communicate these findings to broaden knowledge of the disease in the medical community. (p. 78). Adhesion related disorder is not a single disease, but rather describes a type of scarring, particularly in the abdominal cavity. Scars form as a necessary part of the wound healing process following any type of injury or surgery. Scar tissue may form beyond the surgical wound itself and in some cases interfere with normal health. Apart from surgery, there are many diseases that can precipitate adhesion formation in the abdomen. Important examples are the inflammatory bowel diseases known as Crohn’s disease and ulcerative colitis, in which inflammation can cause scar formation and complications requiring multiple abdominal operations. The NIDDK is committed to expanding the knowledge base of these diseases as a foundation for developing treatment and prevention approaches to preclude complications and the need for surgery. For example, the NIDDK supports a broad-based research approach to study IBD using multiple grant mechanisms. The IBD Genetics Consortium is taking full advantage of the first gene identified that increases susceptibility to Crohn’s disease, and also is enhancing the search for other contributing genes in this complex disease. The Silvio O. Conte Digestive Diseases Research Core Centers provide a mechanism for funding shared resources that serve to integrate, coordinate, and foster interdisciplinary cooperation between groups of established investigators who conduct digestive disease research. The work of five of these centers specifically focuses on IBD. The Institute also funds a number of exploratory/developmental grants (R21s) to foster the development of high-risk pilot and feasibility research by established or newly independent investigators to develop new ideas sufficiently to allow for submission of a full regular research grant (R01) application. Examples sufficiently to allow for submission of a full regular research grant (R01) application. Examples investigation into a new subclass of regulatory T cells that may suppress inflammation and disease progression, and further studies of the protective action of certain intestinal proteins. The Institute also supports four program project grants investigating IBD, including projects to study the genetic mechanisms predisposing to IBD in mouse models. This research may speed identification of homologous human genes and potential pathways for therapeutic intervention, and help to pinpoint genetic factors and immunological processes controlling human intestinal inflammation. The development of the drug infliximab, the first treatment specifically approved by the FDA for Crohn’s disease, was based on a foundation of NIDDK-supported basic research. Future plans for NIDDK research on IBD and other adhesion-related disorders will include the continued pursuit of new drug therapies, the development of surrogate markers of disease, the maximization of research investment in animal models of disease, and the establishment of a repository that will collect and make available to investigators various types of human samples including blood, biopsied tissue, genetic material, and datasets. Aug. 26, 2004— Every minute of every day an American woman undergoes a hysterectomy. The vast majority of these operations are performed to treat uterine fibroids. But some experts say as many as 75 percent of these hysterectomies are unnecessary. written by the author of this article, is provided on page 3611. Embolization is a type of procedure that is commonly performed by interventional radiologists to occlude blood vessels. It has been successfully used in arteries in virtually every part of the body to stop bleeding, block abnormal blood vessels, and treat tumors. Embolization of the uterine arteries has successfully been used for nearly 20 years to stop life-threatening bleeding after childbirth. Uterine artery embolization represents a fundamentally new approach to the treatment of fibroids. Embolization is a minimally invasive means of blocking the arteries that supply blood to the fibroids. It is a procedure that uses angiographic techniques (similar to those used in heart catheterization) to place a catheter into the uterine arteries. Small particles are injected into the arteries, which results in their blockage. This technique is essentially the same as that used to control bleeding that occurs after childbirth or pelvic fracture, or bleeding caused by malignant tumors. The procedure was first used in fibroid patients in France as a means of decreasing the blood loss that occurs during myomectomy. It was discovered that after the embolization, while awaiting surgery, many patient's symptoms went away and surgery was no longer needed. The blockage of the blood supply caused shrinkage of the fibroids resulting in resolution of their symptoms. This has led to the use of this technique as a stand-alone treatment for symptomatic fibroids. The procedure is usually done in the hospital with an overnight stay post-procedure. The patient is sedated and very sleepy during the procedure. The uterine arteries are most easily accessed from the femoral artery, which is at the crease at the top of the leg (figure at right). Initially, a needle is used to enter the artery to provide access for the catheter. Local anesthesia is used, so the needle puncture is not painful. The catheter is advanced over the branch of the aorta and into the uterine artery on the side opposite the puncture. Before the embolization is started, an arteriogram (an injection of contrast material while X-rays are performed) is performed to provide a road map of the blood supply to the uterus and fibroids. After the arteriogram, particles of polyvinyl alcohol (PVA) are injected slowly with X-ray guidance (see figure at left). These particles are about the size of grains of sand. Because fibroids are very vascular, the particles flow to the fibroids first. The particles wedge in the vessels and cannot travel to any other parts of the body. Over several minutes the arteries are slowly blocked. The embolization is continued until there is complete blockage of flow to the fibroids. Both uterine arteries are embolized to ensure the entire blood supply to the fibroids is blocked. After the embolization, another arteriogram is performed to confirm the completion of the procedure. Arterial flow will still be present to some extent to the normal portions of the uterus, but flow to the fibroids is blocked. The procedure takes approximately 1 to 1 1/2 hours. There is variability in the technique used at different centers that are performing UAE. At Georgetown, a second arterial catheter is placed from the opposite femoral artery to the other uterine artery and the embolizaton of the fibroids is done from both sides simultaneously. At other centers, a single catheter technique is used with one side treated then the other. In any case, all physicians who are performing UAE treat both uterine arteries. There are other variations in technique, including the use of different types and sizes of particles to block the arteries. Many patients have questions about the particles and their fate. For a more detailed discussion of the various substances used to block the arteries, please review the page on embolic agents. Serious complications are rare after UAE, occurring in less than 4% of patients. These include injuries to the arteries through which the catheters are passed, infection or injury to the uterus, blood clot formation, and injury to the ovary. The most severe complications to date have been 4 deaths reported after UAE, 3 in Europe and 1 in the United States. In England, a patient developed a very serious infection in the uterus 10 days after the procedure. Despite a hysterectomy, the patient developed septicemia (blood stream infection) and died 2 weeks later. Another patient recently died in the Netherlands from a similarly severe infection. There have been 2 deaths from pulmonary embolus, which is the passage of a blood clot from the veins in the legs or the pelvis to the lungs. Pulmonary embolus may occur after any of a number of different surgical procedures, including most gynecologic surgeries. It does not appear that a patient treated with UAE is at any greater (or lesser) risk for pulmonary embolus than surgery patients. While pulmonary embolus usually does not result in permanent injury, it can cause death in rare instances. These very serious complications are the only deaths that have occurred in the 20,000 to 25,000 patients treated worldwide thus far. About 1% of the time, a patient might have an injury to the uterus or infection in the uterus that might necessitate a hysterectomy. Injuries to other pelvic organs is possible but has not yet been reported. There have been a few patients that have had a nerve injury, either in the pelvis or at the puncture site, although happens in less than 1 in 200 patients. An injury to the puncture site, such as clot formation or bleeding, is also similarly rare. The most likely problem to develop in the first several months after the procedure is the passage of fibroid tissue. This is only likely to happen with submucosal or intramural fibroids that touch the lining of the uterus. In our experience, this occurs in about 2 or 3 % of cases. While the fibroids may pass on their own, a D and C may be needed to remove the tissue. While the passage of tissue may be beneficial in the long run, it may be associated with infection or bleeding and this may be severe enough to require hospitaliation. For this reason, it is important to monitor this process carefully to avoid more serious problems. X-rays are used to guide the procedure and this raises a concern about potential long-term effects. There have now been several studies of X-ray exposure during uterine embolization, and in most of these, exposure was found to be below the level that would be anticipated to have any health effect to the patient herself or to future children. It is always possible that very prolonged exposure could cause an injury, and there has been one patient reported (not at Georgetown) that developed a skin burn after uterine embolization. Most interventionalists limit the duration of X ray exposure in any procedure and will stop the procedure if it cannot be completed within a safe interval. As of this time, 20.000 to 25,000 patients have had this procedure world-wide. Our initial results, along with those that have been published or presented at scientific meetings, suggest that symptoms will be improve in 85-90% of patients with the large majority of patients markedly improved. The improvement rate is similar for heavy menstrual bleeding and for pressure and pain symptoms. Most patients have rated this procedure as very tolerable and in almost all cases hospitalization is necessary for only one night. In some centers, the patients are treated and discharged the same day. The quality of life of patients also improves significantly. Again in research completed here at Georgetown, with either a quality of life questionnaire specific for fibroids or a more general questionnaire, statistically significant improvement is evident in all areas. The expected average reduction in the volume of the fibroids is 40-50% in three months, with reduction in the overall uterine volume of about 30-40%. Over time, the fibroids continue to shrink. With several years follow-up now available, it does not appear that fibroids successfully treated regrow. It is not known whether patients may develop new fibroids. This section was written to provide patients with an overview of uterine artery embolization. If you are interested in a more detailed discussion of the reported scientific results, we encourage you to read our Literature Review. If you would like to consider this procedure or would like more information about uterine artery embolization at Georgetown University, please review our Patient's Guide. Also our patient's guide gives a detailed discussion of what the patient can expect before, during, and after UAE. You may call James B. Spies M.D. of Georgetown Interventional Radiology at (202) 784-5478 to make an appointment. You may also contact us via email at spiesj@gunet.georgetown.edu. If your gynecologist is interested in information on this procedure or if you are interested in more technical detail about UAE, additional information is available at our Physician's Resource page. They may also call us; we would be happy to discuss this procedure with them.